Johnson Mediation can work with you and your spouse in a number of ways. If you have children, we can offer support to you and your spouse as you try to reach agreement on how best to prepare your children for their lives after your divorce. Parenting Coaching is a different aspect of divorce mediation that many parents find helpful. Parenting Coaches are trained to work with only one person. The coach works with this person on an individual basis to address the myriad issues related to parenting during and after divorce. If your particular situation does not warrant individual coaching, a more traditional approach to mediation will likely be more appropriate for you. Our approach is to treat both you and your spouse as individuals and we try to help you both find common ground, communicate clearly, respond to conflict with honesty and sensitivity, and remain solutions-oriented. We can also help you see patterns in your relationship that inhibit the resolution of conflict. It is almost always more difficult for you to see such patterns because you exist in the middle of them. Working with a divorce mediator is a sign that you want to improve the conditions of your divorce. We believe that divorce mediation is a far better choice than the traditional court processes. By comparison, mediated divorce requires less time, it is almost always significantly less expensive, and it has a better chance of allowing you and your spouse to emerge from the process with a healthy ongoing relationship. This is especially important if you have children. We believe that it is important to work on being effective communicators during and after the divorce process. Some couples, of course, will prefer a clean break from their divorcing spouse. If you have reason to remain in contact—children being the most common reason—then you should feel empowered to relate to your former spouse in a healthy way. Even when the divorce is amicable, former spouses will usually recognize that they had communication issues that contributed to the ending of their marriage. We have the skills and experience to help you and your former spouse overcome such matters. 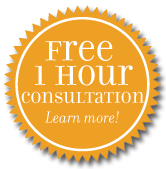 Call Johnson Mediation at (952) 401-7599 and we will be happy to set up a time for a free one hour divorce consultation with you.